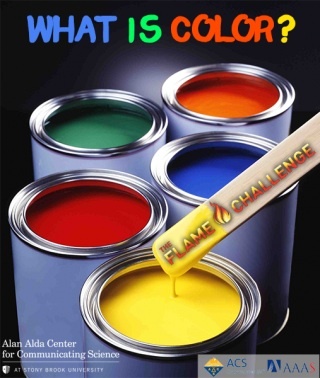 Introducing this year’s Flame Challenge science communication competition. Hawkeye, Alan Alda’s character in M*A*S*H, was a lanky wise guy with a serious edge—or was it the other way around?—always poking at serious matters. (M*A*S*H fans or the confused might try Footnote 1.) In front of the kids in this PBS segment Alda seems to have a sweeter version of his famous role in real life. His subject is science. In particular, how to teach it to kids. His challenges are cleverly set up. A question that is easy to pose but deceptively hard to answer and a target audience of 11 year-olds. Old enough to take a fairly sophisticated explanation but need the explanation broken down. And, of course, the judge are kids – no adults guessing what kids might think is best. This year there will be two winners, one for a 300-word-or-less written entry and another for a video or graphical entry. (Videos must be less than 6 minutes long.) Winners will get a trip to the World Science Festival in New York. Alda’s Flame Challenges trace back to his science teacher’s answer to his question ‘What is a flame’ — oxidation, which doesn’t really explain what a flame is. Before I leave you to tackle his challenge, I’d like to share one thought I have on explaining things. When I encounter a technical term I don’t so much “ban” them, as use them a signal that a concept was begging to be introduced, to alert myself to think about what it was that I thought the reader ought to know and try to break that out of the word or phrase. Concepts often boil down to fairly simple ideas, even if the practical implementation of those ideas or a precise explanation of them involves many fine points – those can be left out (unless that’s the aim of the piece). You want to try start with something the reader is likely to be familiar with and draw the reader on. It’s no good doing what so many scientific review papers and textbooks do of throwing the bits around, leaving it to the reader to pull them together. There’s a podcast and transcript of an interview with Alan Alda at Science American that might interest readers. This interactive website gives one perspective on time; it doesn’t explain time, but it does give one view on the enormity of the time scale our tiny lives fit within. Alan Alda also helped establish Alan Alda Stony Brook Centre for Science Communication. 1. For readers outside New Zealand (or the USA), M*A*S*H was hugely popular here, with it’s 11 seasons re-run back to back several times. I guess you have to have been a kid who grew up with the series. 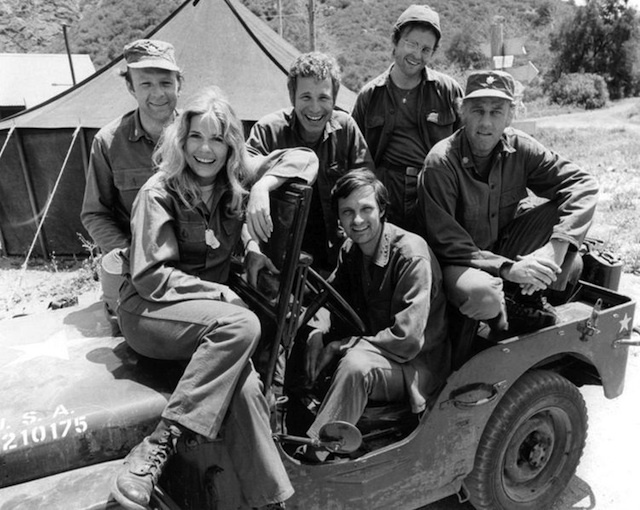 I suspect, too, that one of the reasons M*A*S*H appealed—leaving the drama aside—was simply that the faces were happy. You’d watch the news with all the awful things people would do then the M*A*S*H theme music would roll and you’d find relief in an up-beat bunch of people. It feels to me that present-day comedy lacks that a bit. It pushes for the laughs of course, but hasn’t has much of the simple soulfulness of ‘real’ characters that M*A*S*H featured. Scientific baking. Great for those lab meetings or kids’ parties.